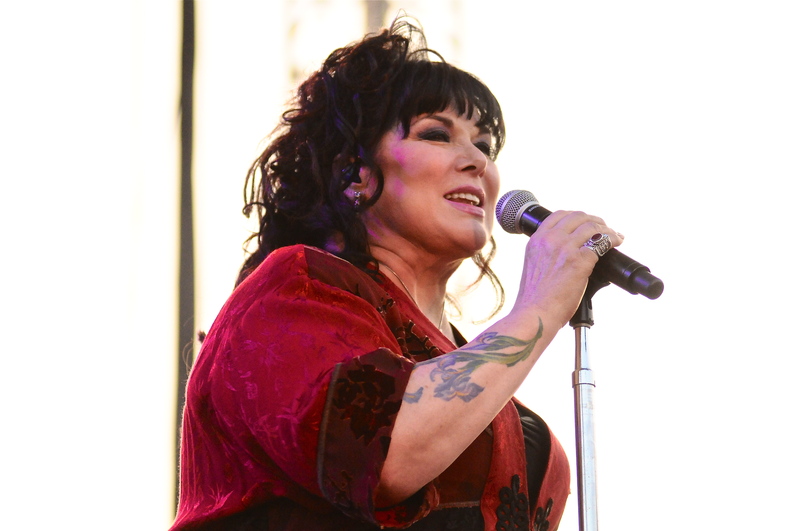 Heart returned to the outdoor stage at Artpark on Tuesday night (August 5). The crowd may not have been quite as large as in 2012 but it was still sizable and ready to hear the songs that have become classic rock radio staples. The opening 1-2 punch of “Magic Man” and “Barracuda” set the tone for the evening. As Ann Wilson said when first addressing the crowd four songs in, “We’re gonna play ‘em all tonight- all eras, all genres”. This was not entirely accurate as many of the band’s ‘80s era hits (like “Never” and “Who Will You Run To?”) were again left out. However, that decade was well represented. “What About Love?” provided a big sing-along moment. “These Dreams” is still a lovely song (though Nancy Wilson was in better voice on the Paul McCartney cover “Let Me Roll It”) And “Alone” is an even more powerful song when stripped down thanks to Ann’s still amazing voice. Other highlights included “Heaven” and “Mashallah”. The latter was from the 2012 release Fanatic and flat out rocked. After that, Nancy picked up her acoustic guitar and everyone had to know what was coming. Sure enough, it was the intro to “Crazy on You”, complete with signature leg kick. Awesome. Heart has always covered Led Zeppelin songs and it was all Zep for the 3 song encore. This sent the crowd into even more of a frenzy and was a great way to end the night. With their long-overdue induction into the Rock & Roll of Fame in 2013, Heart’s legacy is more than secure. But as long as they are still at the top of their game, why should they slow down? Opening the show was Brynn Marie, originally from Pittsburgh but now living in Nashville. She performed a set of originals mixed in with covers of Cheap Trick, Linda Ronstadt & Miranda Lambert. Many of her songs reminded me of Lambert songs. She definitely has the talent and stage presence to become a big name. Opening for acts like Heart, REO Speedwagon & Aaron Lewis should help.